Lori's feature-length screenplay DOC has won second place at the International Horror Hotel and has been named a quarter-finalist at the WeScreenplay International Screenwriting Competition. It was also a quarter finalist at Stage32's Search for New Blood Horror Screenplay 2014 contest and the ScreamCraft 2014 Horror Script Contest as well as a finalist in the Austin Indie Flix Showcase Screenplay Awards 2014. John O'Keefe - "Big Mistake" // animation, director. Figures made by Austin McKinley. "The short is a juggernaut of uncomfortable sexual imagery, and, considering its brief run time, packs a wallop of challenging scenes. -- Their teamwork, a marriage of provocative storytelling and technique, is an electrifying subversion of existentialist drama with a dash of sneering humor." Chris Hallock, DIABOLIQUE. I am Monster was honoured with a place on Mike Snoonian's Top Ten Best Short Films of 2013 at All Things Horror, even though the film was still being polished at the time! Thank you, Mike! 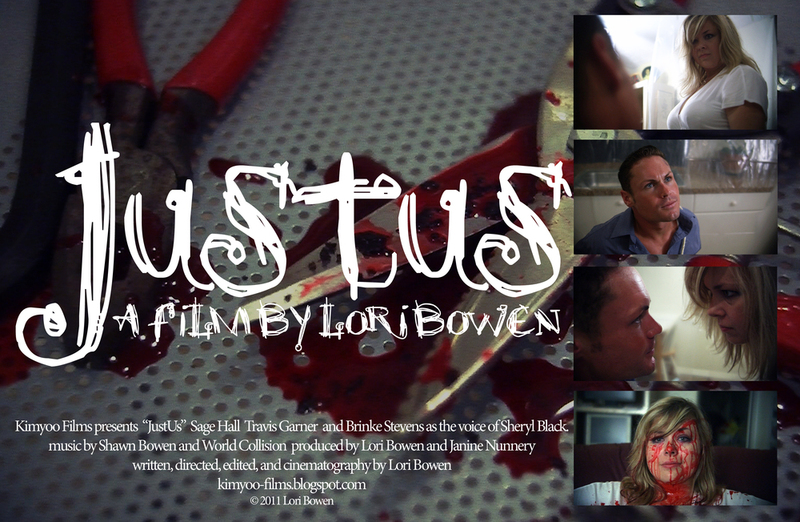 ﻿Jennifer's Bodies: An Interview with Lori Bowen - JustUs! ﻿Cup of Stars: Nightmares From The Sunshine State: A WiH Interview with Lori Bowen. TerrorScribe.com: Lori Bowen: What Do Horror Fans Want? Lori was interviewed in 2010 on the Sarasota local access show At the Movies hosted by Gus Mollasis to promote her film festival Hallowscreen, which was being put on during the Sarasota Chalk Festival that year to help raise money for the Avenida de Colores, a 501(c)3 arts education programme via donations collected at the screenings. I Hate / Love Remakes - Lori was a guest on the show's episodes about A NIGHTMARE ON ELM STREET, posted December 2013. I Hate / Love Remakes - Lori was a guest on the show's episodes about HALLOWEEN in October 2011. Zombie vs. Shark - Lori was interviewed in the episode "My Old Prison Nickname" which was recorded at the June 2011 Bleedfest Film Festival. ﻿Astro Radio Z - Lori's on for the first hour of this episode of Astro Radio Z on the FearCast Network, hosted by Cory Udler and Derrick Carey.